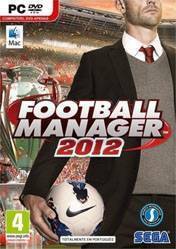 Football Manager 2012 (abbreviated to Football Manager 12 or FM12) is a football manager simulation video game. Football Manager 2012 is the first in the series which requires all players to use Valve's Steam software; this angered many thousands of fans of the series who encountered problems with the third party software. The move to Steam requires the game to be activated online before being able to play. Football Manager 2012 has been well received with generally positive reviews. In particular GameSpot said that the "ability to turn leagues off and on was a great addition"